This is probably my last post regarding the AT. I just wanted to let everyone know I’m doing well at home. Transitioning back was a breeze. Here is a video of the AT that I composed. It’s a small glimpse of the hike. Hope you enjoy it! Best wishes to everyone and a many thanks for joining me on this marvelous adventure. The 100 hundred mile wilderness. Many of those that hear of it become slightly intimidated. It seems to be a place that is distant, vast, wild and dangerous. There is a cloud of mystery that surrounds this section of trail. 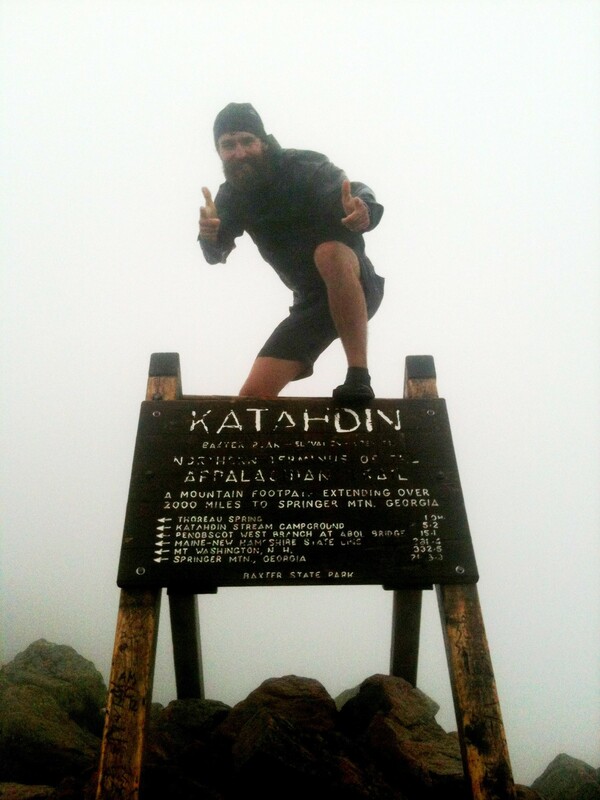 It is intriguing how much us thru-hikers talked about it as we approached it in the past weeks. 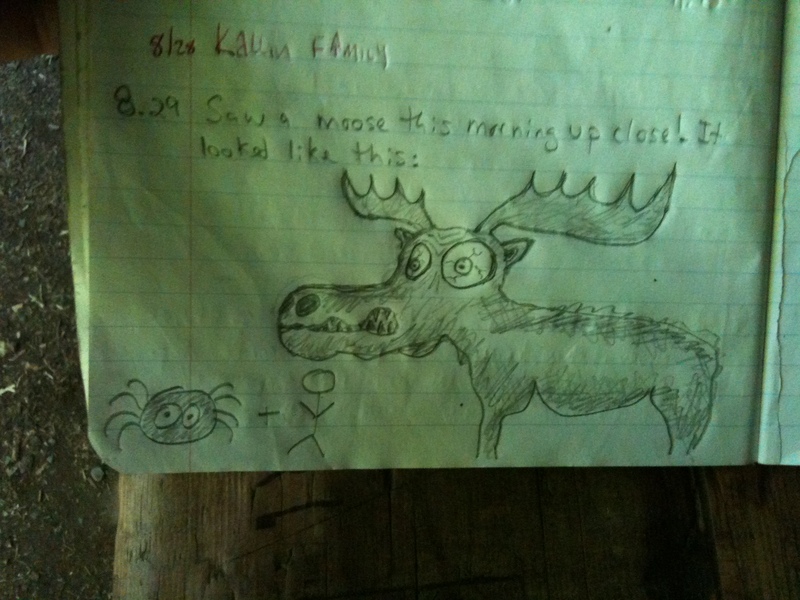 This was the final exam for all of us before summiting Katahdin, the last mountain. 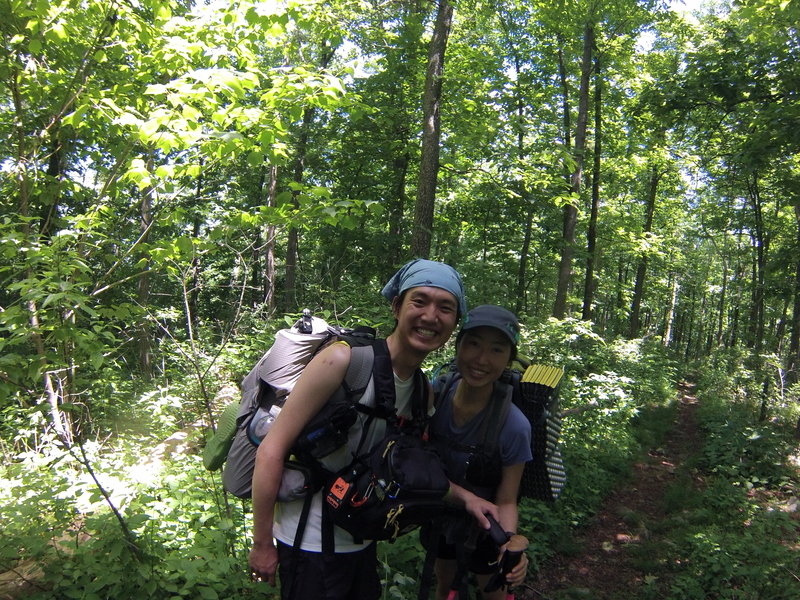 Hiking through the wilderness we discovered that there was nothing too difficult about it. It consisted of more of the same terrain that we had been hiking on: rocks, tons of roots and plenty of nasty black mud. Us guys hike this distance all the time between resupplies. 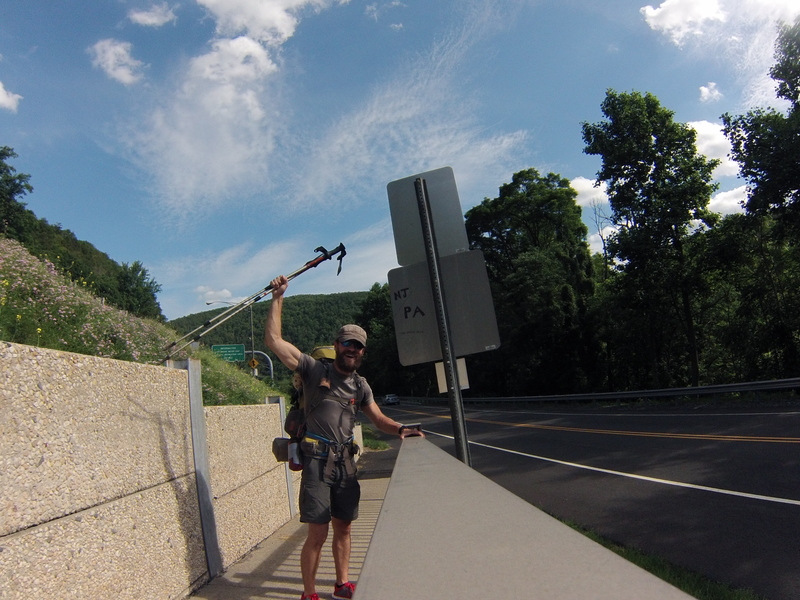 Go into a town, resupply, hike 80-100 miles and get into the next town. That was basically my life for the past 6 months. I fondly remember our conversations in the wilderness. It mainly consisted of food. 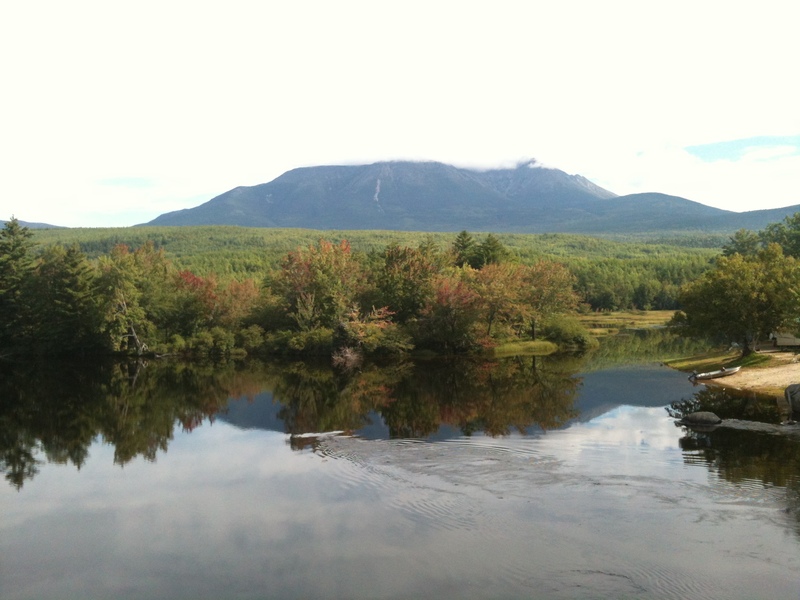 The closer we zeroed in on Katahdin, the more we talked about all the different types of food everyone would eat once finished. I had this image burgers on my mind the last 2 days. BBQ pulled pork burger, cheese burgers with extra cheese… The promise of town food kept driving me onwards towards the finish. 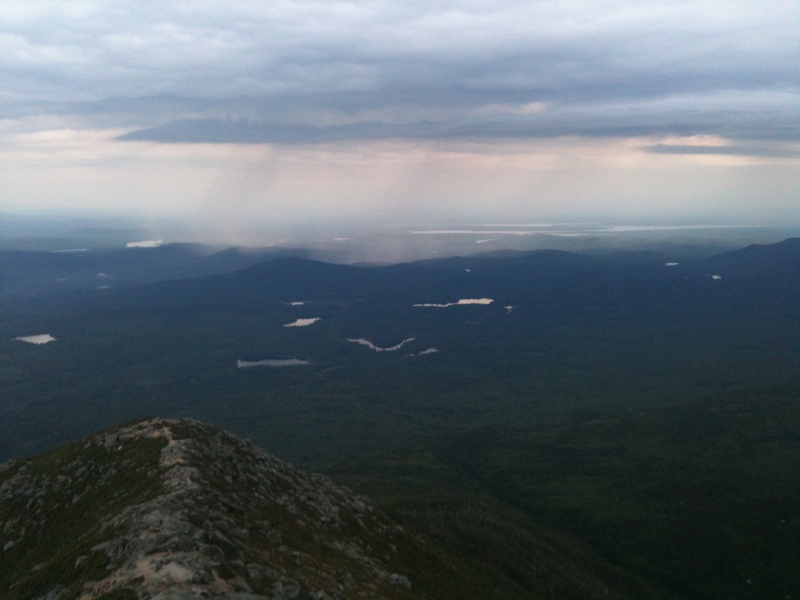 The second to last night I was climbing up the last small mountain: Rainbow ledges where everyone planned to camp. 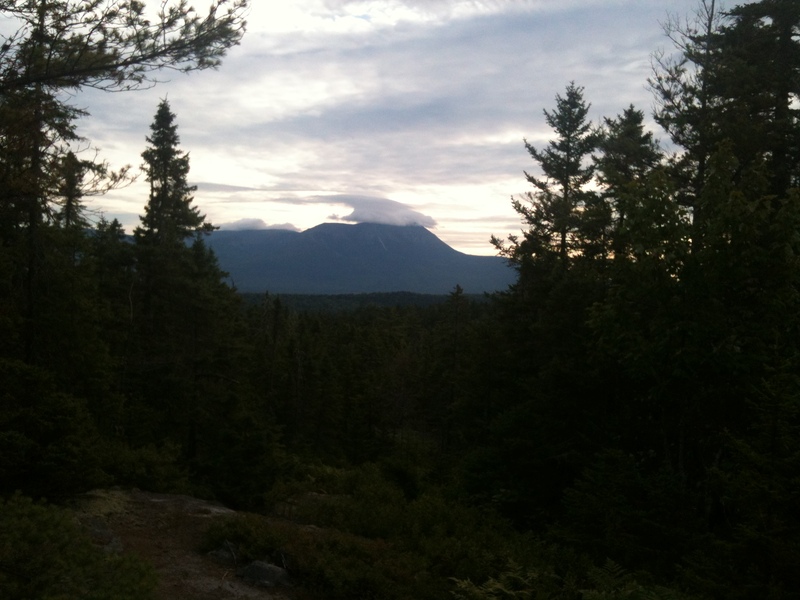 This is a small mountain with a beautiful view of Katahdin in the distance. I was totally smoked by the end of the day. 23 mile day and I was rationing food like crazy. I destroyed my 15 lb food bag the first 4 days and so payed the cost on days 5-6. Anyways, when I got to the summit Blink yelled out “Spiderman! Berries! They’re everywhere!! !” Sure enough berries as far as the eye could see. I have never seen these kind of berries before. “What are they?” I asked. Blink: “I have no idea but they taste amazing!” Well, I did what anyone else with common sense would do; drop my backpack, plop down next to a bush and start eating handfuls of these mysteriously delicious berries. A thought did cross my mind, what if they are poisonous? To which I answered, “Who cares! At least I’ll die a happy man.” haha It’s funny what hunger will do to a man. After what seemed like ages, Blink and I forced ourselves to stop eating and set up camp. 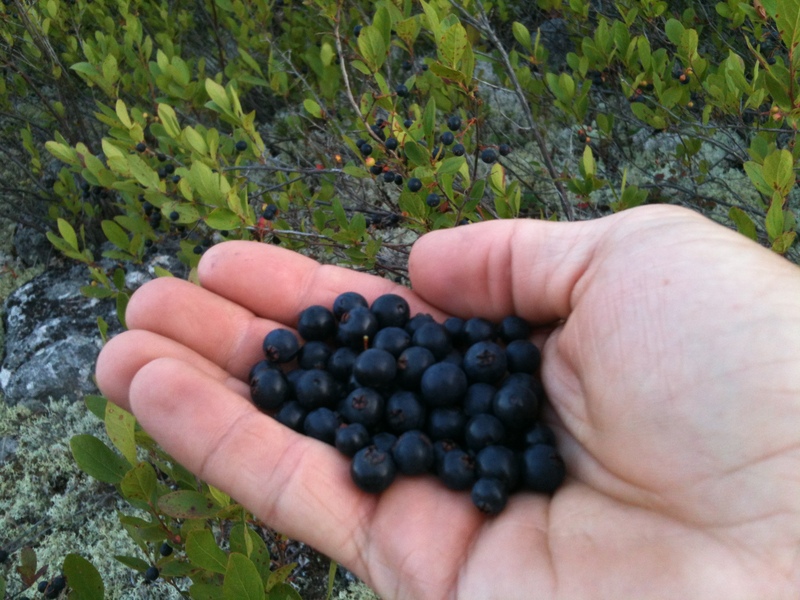 A couple hikers told us later on that those were Huckleberries and totally safe to eat. I have no idea why they are not sold in grocery stores. They taste many times better than blueberries. 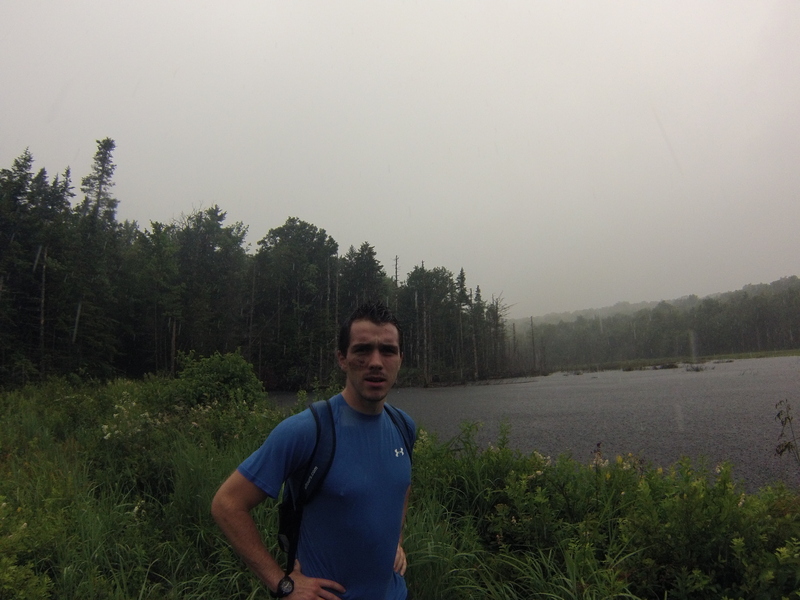 The rainstorm was moving in on me so I flew up the 5 mile climb in 2 hours 10 min. But, I didn’t make it in time. 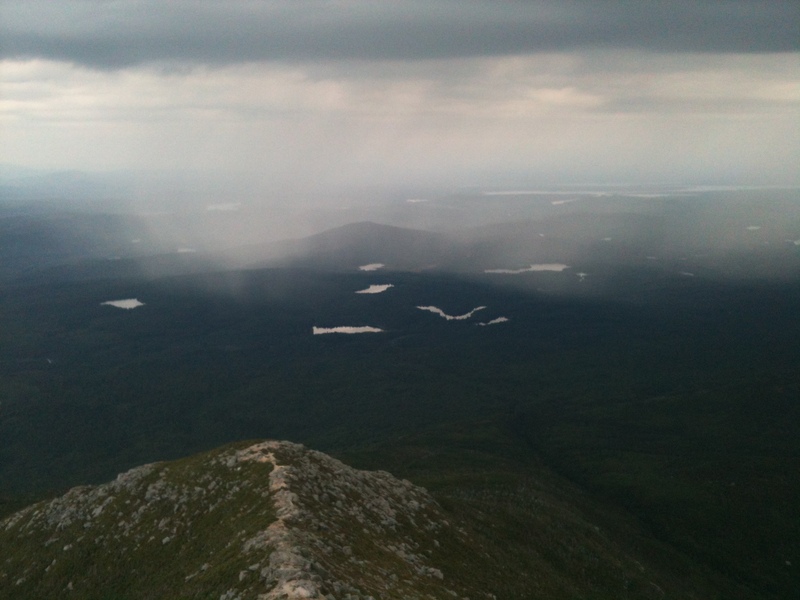 Freezing cold wind/rain hit me as I got close to the summit. And then I saw it, the legendary sign! The sign was probably the most beautiful thing I’ve ever seen! I’ve only seen pictures of it and now I finally got a chance to physically touch it! People asked if I cried when I saw the sign. Nope. Way too cold to cry. I was completely soaked by freezing rain and was trembling pretty bad from the cold- totally worth it! I simply can’t convey my thoughts and feelings very well about my finish on paper. 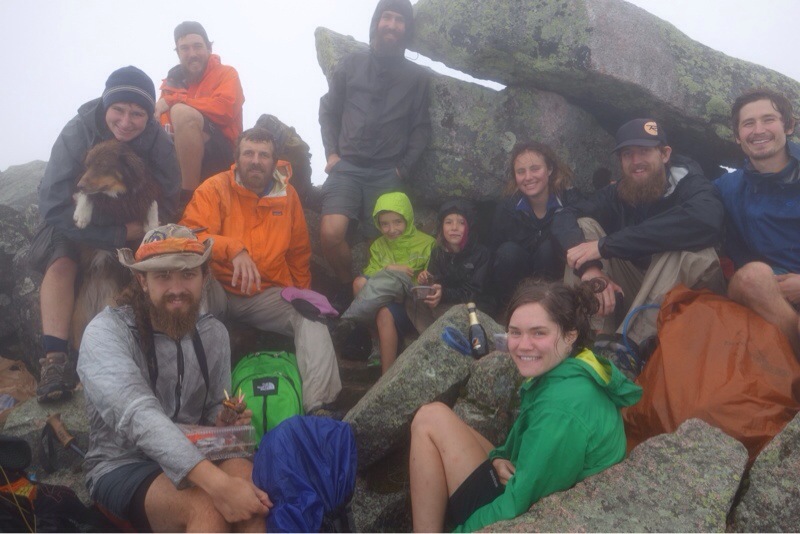 Laughter/happiness/smiles/hugs, all of these things were experienced on Katahdin. 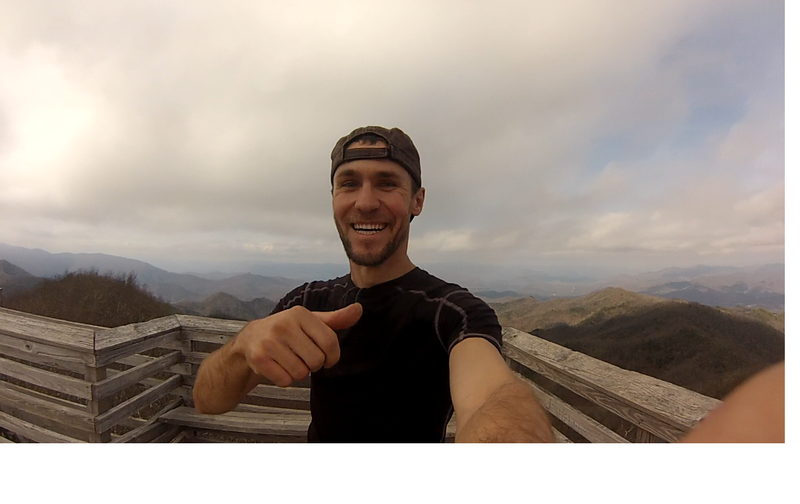 I am glad I hiked the AT. It has made me a better man physically, mentally and spiritually. This was a walk-about that I needed in order to grow and improve on many different levels. Would I ever do it again? Nope. Once is enough. This endeavor was life changing in a positive way. 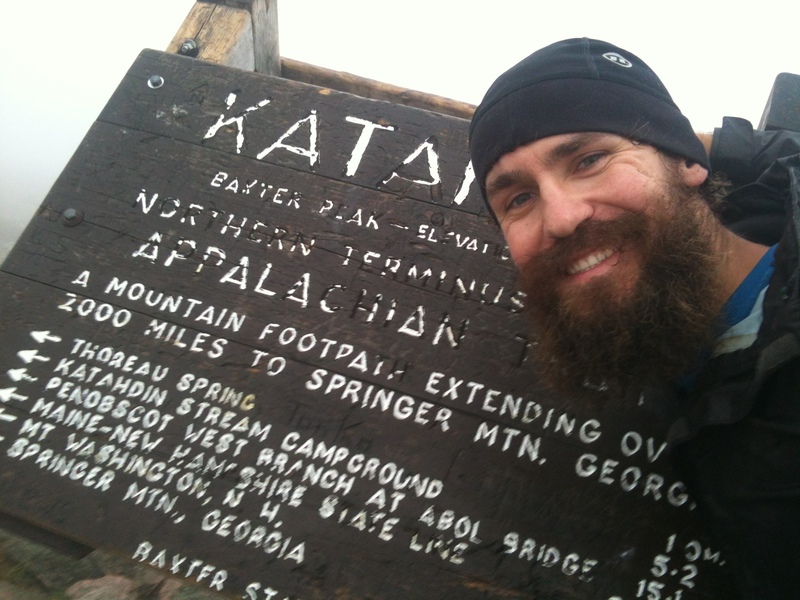 I’ve recieved much from people and my experiences on the Appalachian Trail and am now ready to give back to others. 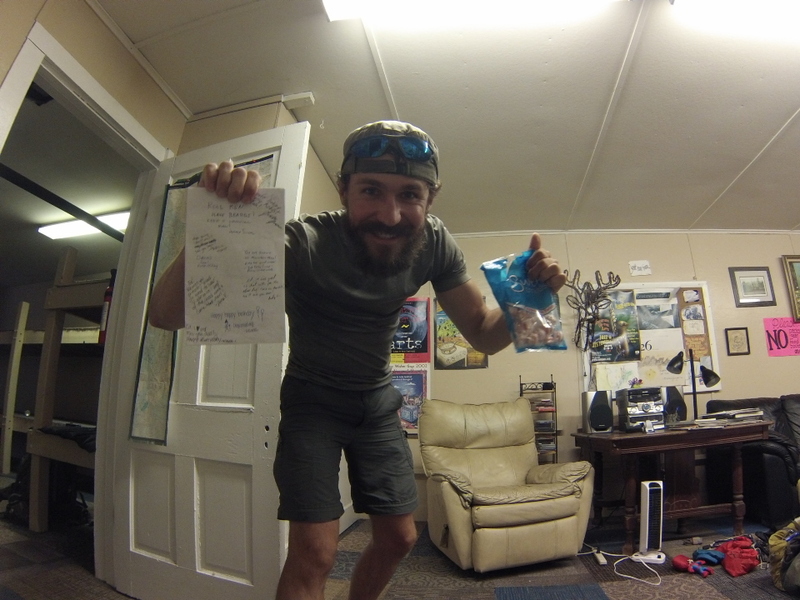 Many thanks to all those that supported me, sent me letters of encouragement and care packages. I am truly blessed to have so many wonderful friends and family in my life. Chuck Norris hiked the whole AT without ever taking one step! Last time I posted, I was just entering Vermont. 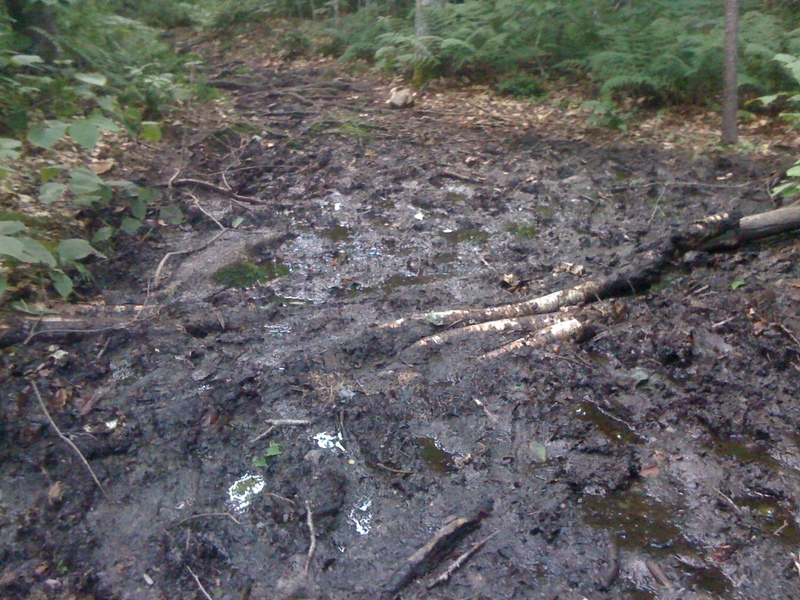 The beginning of the Vermont trail was absolutely miserable because of the mud. 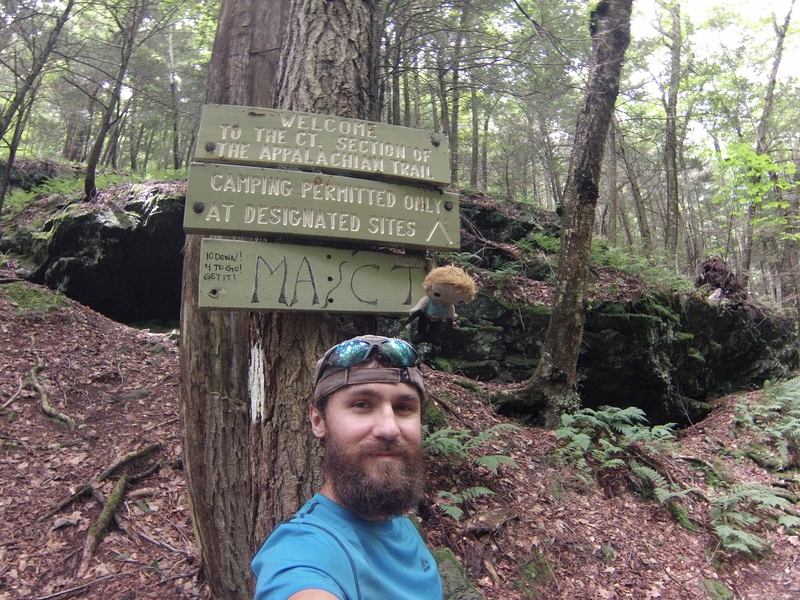 There was a sign at the Massachusetts/Vermont border line that said “Entering Vermont Wilderness area. 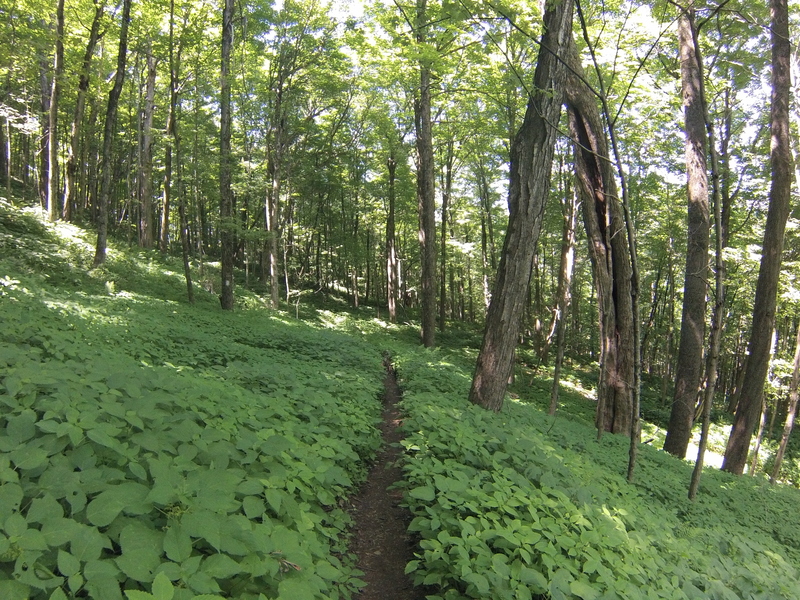 There is little to no trail maintenance in order to allow nature to dominate the area.” I was kind of confused about the “dominance” idea, but it seemed good on paper. However, seeing the trail first hand, I quickly changed my mind. Trail maintenance is VERY important. Without anyone taking care of the trail, the mud got out of hand. No one wants to walk through that thick black goo because its straight up gross. Walking around the edges unfortunately creates more erosion. Leaving the trail unattended creates a huge footprint that is not good for nature or those of us walking the trail. The good thing is that this wilderness area only lasted for about 50 miles. 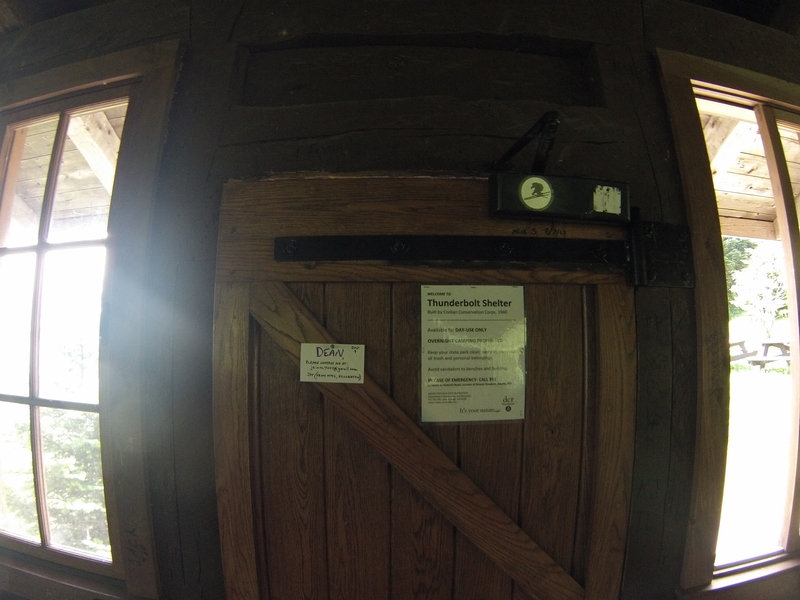 After that, the trail went through different areas belonging to local hiking clubs. These guys did an excellent job keeping the trail clean. Vermont is simply beautiful! 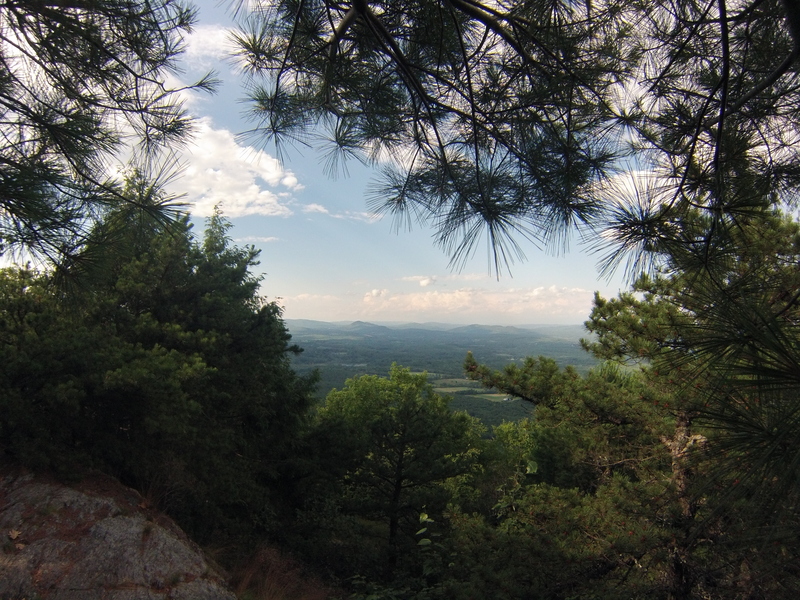 Loads of excellent views and lots of pine groves. 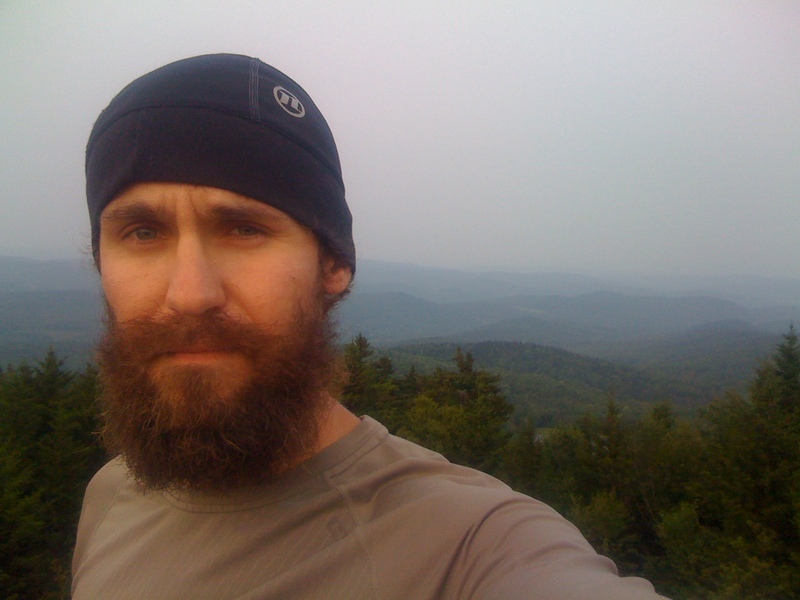 I really enjoyed Vermont because of all the hikers that I came across. The coolest thing on the trail is when you are walking along and then stumble across someone that you haven’t seen in many months. This is a pic I took couple weeks ago. 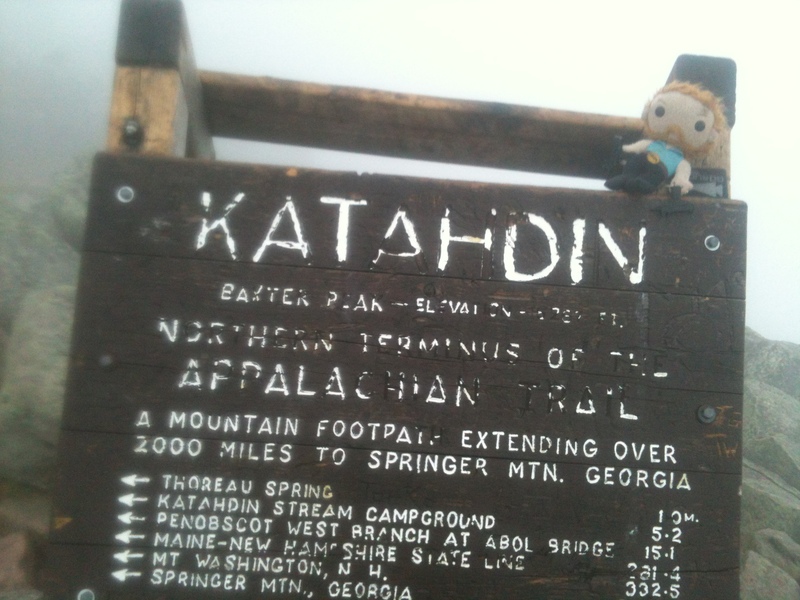 Last time I saw Canadia was on that super cold night in the Smokies (when the T-Rex was chasing me). It’s hard to describe the excitement that one gets after seeing a familiar face from ages ago. 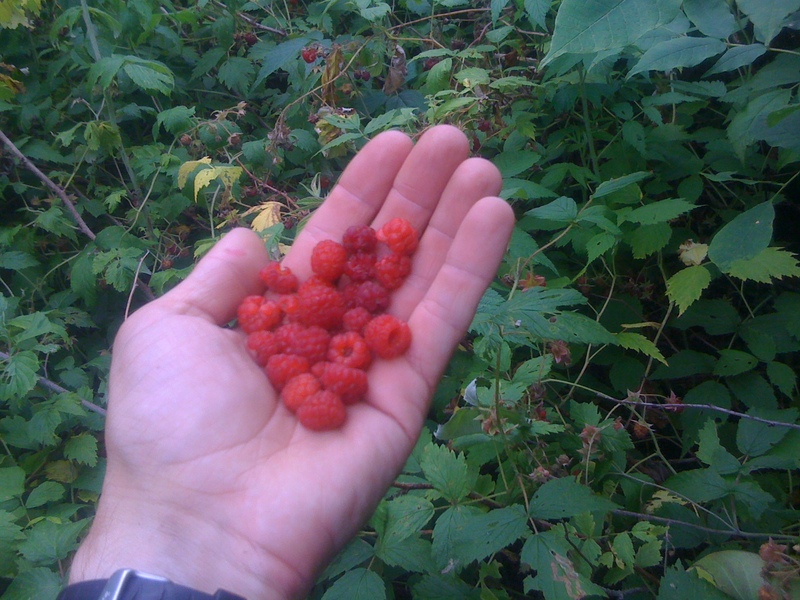 One cool thing about Vermont is wild raspberries everywhere! It is so hard to force myself to keep hiking past these huge patches of berries. 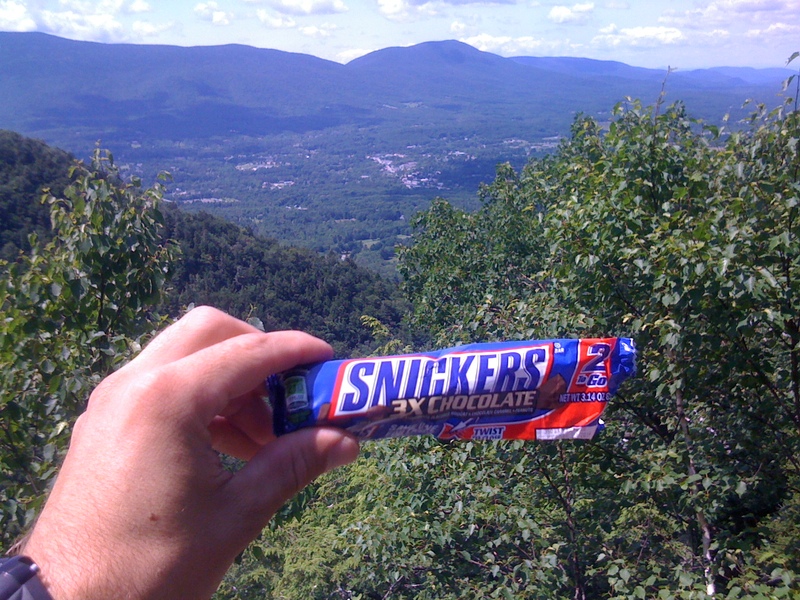 I could sit there all day and eat them by the handfuls but that wouldn’t get me any closer to Katahdin. a half eaten snickers at the bottom of my food bag… WIN!!! It’s totally the small things out here that make the difference between a great day and a rough one. Right now, I am hanging out at Tony’s home waiting for my care package to come in. It should be in tomorrow. But guess what, Tony used to be the group publisher for Climbing Magazine! Crazy awesome! 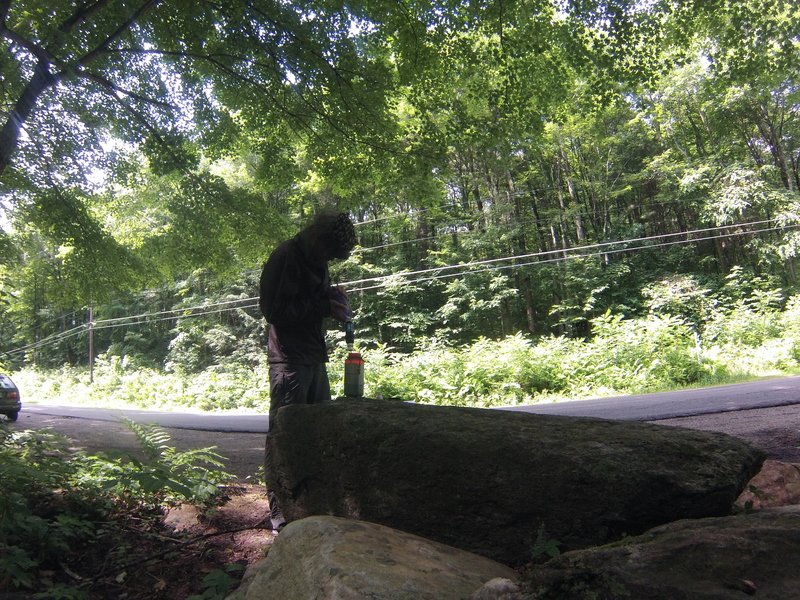 Locals in Hanover, NH are super nice and take in hikers all the time. 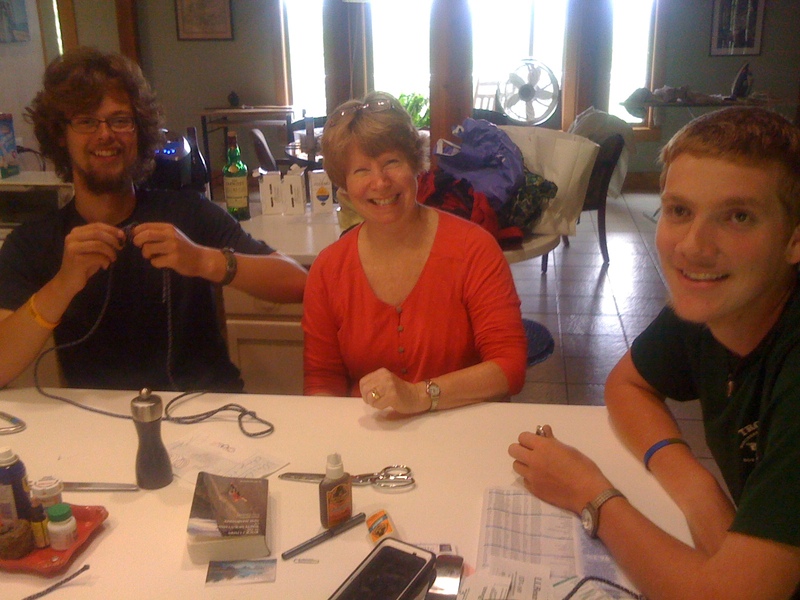 They love listening to our stories and simply enjoy meeting people from all walks of life. 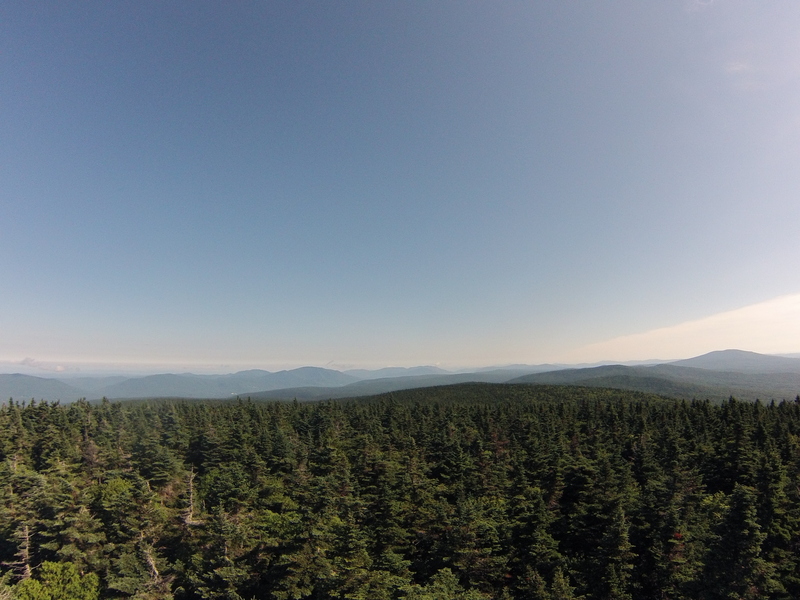 The White Mountains are only 50 miles away. Stay tuned for loads of epic views. 3 more states to go!!! 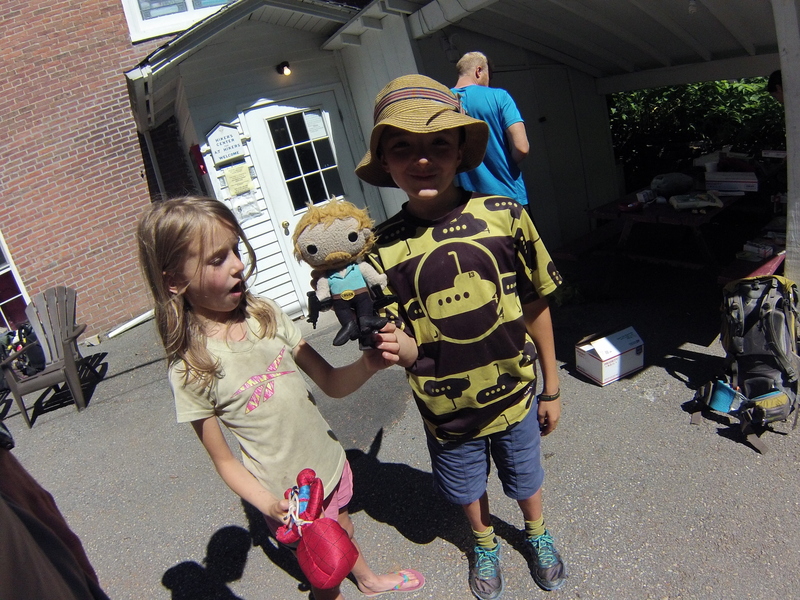 Vermont! Wohoo!!! I can’t believe that there is only 3 states left. Roughly 500 miles of the greatest terrain up ahead. This adventure is nearing it’s end slowly and I’m excited about closing this chapter in my life and opening up a new one after this. 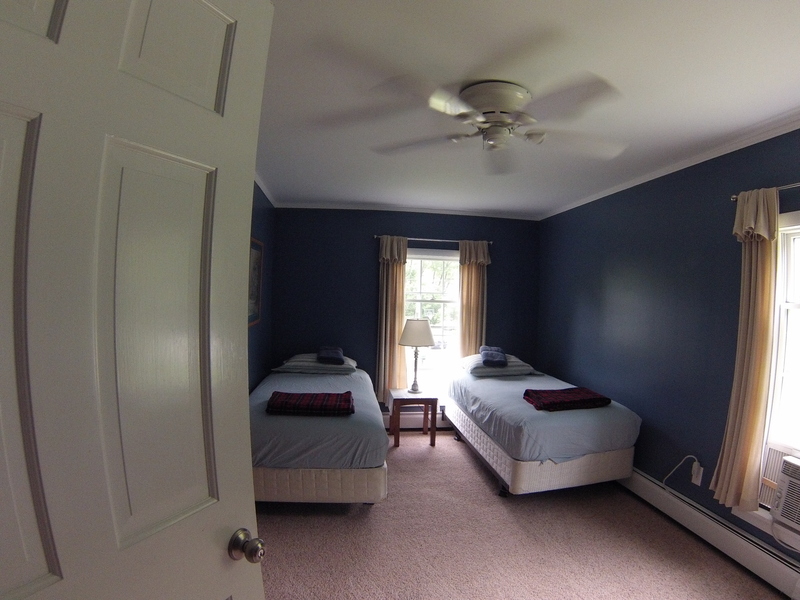 Right now I’m hanging out at Green Mountain House Hostel in Manchester, VT. This is by far the best hostel I’ve ever been to. The atmosphere here is very relaxed and positive. It has been rated #1 every year since it’s opening in 2008. Connecticut was easy and fun. Then I got to Massachusetts. This is definitely one of the more memorable states I’ve been too. As soon as we crossed into Mass, the terrain automatically changed within a mile. I’m talking about coniferous forest. The smell of wonderful pine is everywhere! There is nothing like walking all day long through amazing pine forests. After a couple days in Mass things turned for the worse. You remember when I was complaining about mosquitoes in NY? Well this was 10 times worse. No joke. They destroyed me. 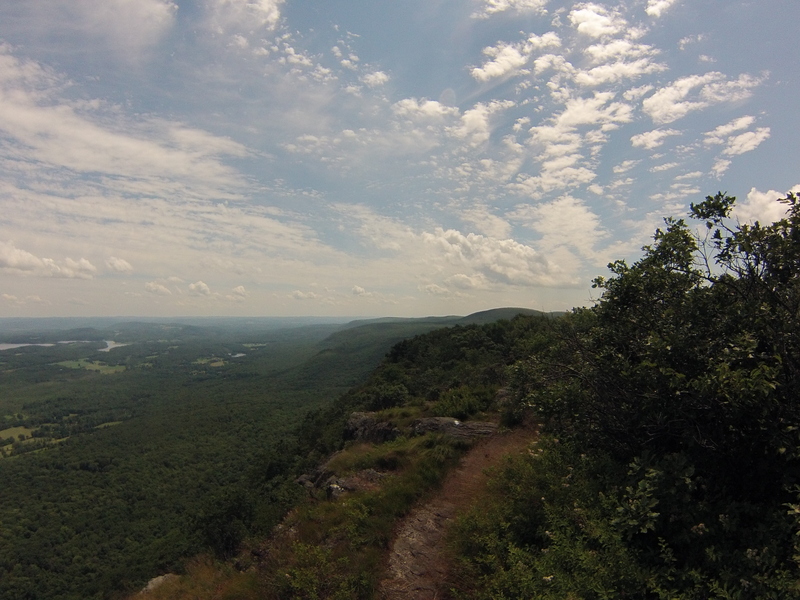 I will never forget a section of trail near the town of Great Barrington. They were so bad there that I had to speed walk/run through many swampy sections for hours with no breaks! At one point I glanced over my shoulder and saw this huge cloud of mosquitoes chasing me down the trail like zombies or something. It was crazy! The locals told me it was the worst mosquito year they ever had. Every time I stopped to eat or filter water, body armor was required. I honestly thought those bugs would drive me insane. 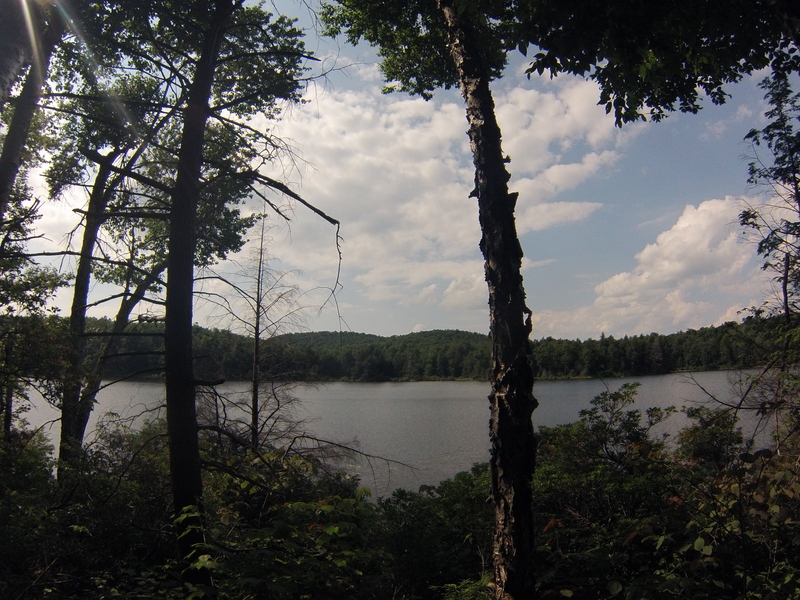 When hiking through the previous state of Connecticut, I averaged 10 mosquito bites a day. This number tripled in Massachusetts. But the good thing about those horrible bugs was they kept me moving quickly through the state. Mass is full of these huge lakes but for some reason they call them ponds. Their definition of ponds is definitely skewed. My rules are simple. If you can wakeboard in it, its a lake. 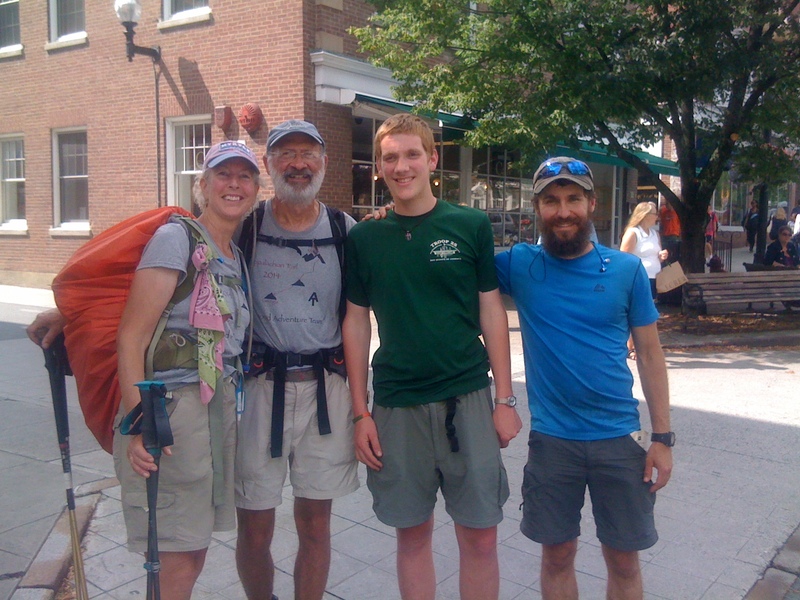 I eventually made it to Dalton, Mass and had and amazing time hanging out with Tom Levardi and other hikers. Tom has been there since the very beginning. 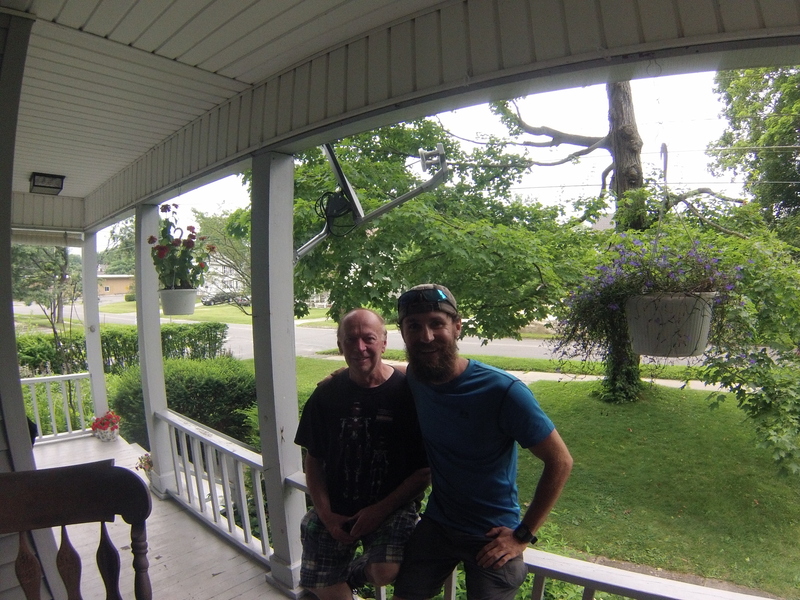 He provided me and Politician with a place to sleep in his house, showers, breakfast and dinner… simply an awesome trail angel. When at Tom’s house, 2 hikers came by with stories about stalkers. Yep, you heard right, stalkers. There is a guy from Scotland, Dean, that somehow ran into a girl named Joy at a restaurant. She fell in love with him immediately and became obsessed with Dean. The guy got scared and ran away down the trail. She tried to get in contact with him by posting these index cards everywhere. 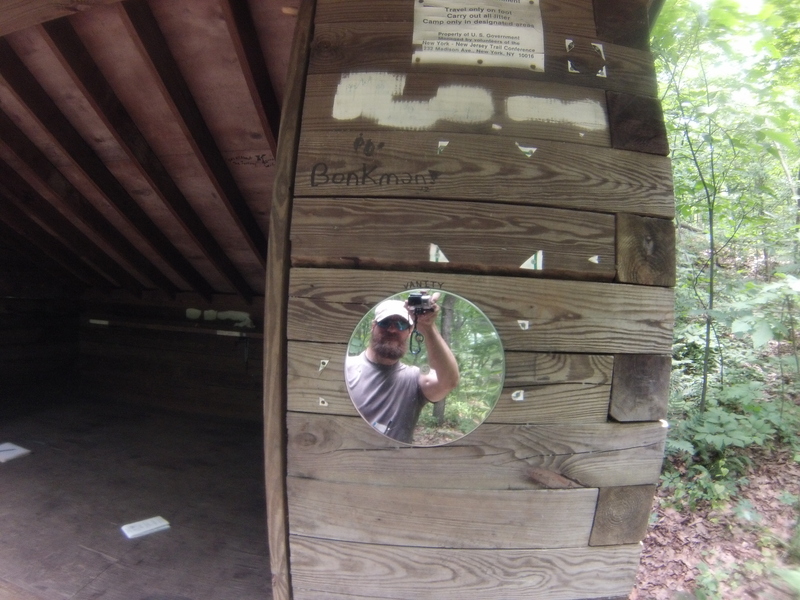 I’m talking about cards in shelters, on trees, on logs, everywhere… over a 50 mile section of AT. He got a restraining order on her lol! Then Mr. Blisters showed up and told us of how he tried to run away from a hiker who got to attached to him. Blisters is a South Bounder (SOBO). A guy named Zeek hiking with him SOBO. 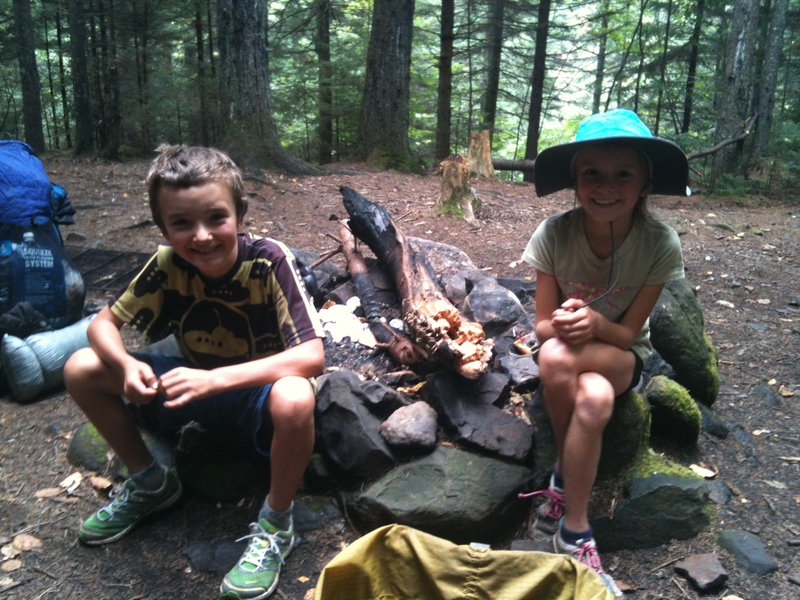 At first all things were well until Zeek started using Blister’s stove and wearing his crocs around camp. Blisters tried telling him that it was weird and stuff but Zeek doesn’t get basic social ques. 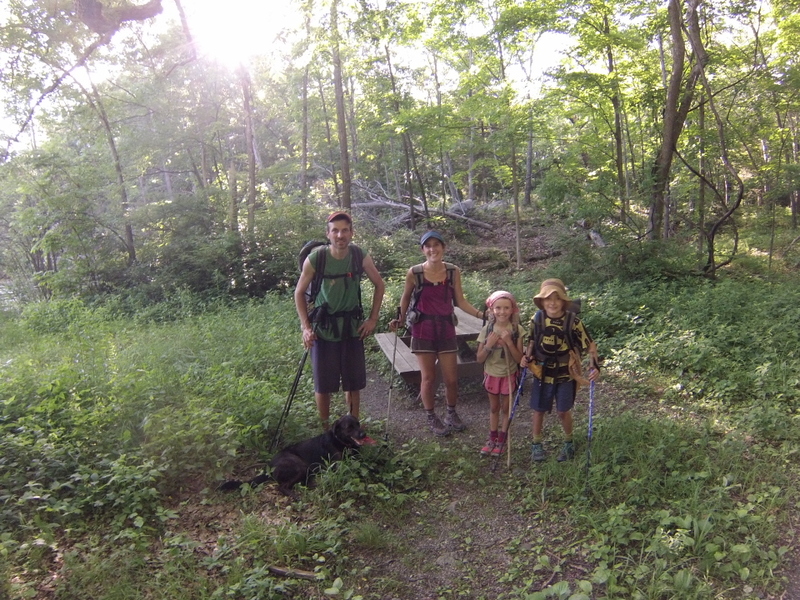 Blisters hiked a 32 mile day through the Whites and Zeek kept up!!! Blisters even snuck out of camp one morning at 2 am and hiked a 40 mile day. He lost Zeek for 3 days but the guy caught up and ridiculed Blister for abandoning him! haha! Mr. Blisters was like “Dude, your a full grown man. I didn’t abandon you! I tried to ditch you because you are driving me crazy!” But the guy didn’t seem to care and hiked with Blisters for another week until a miracle happened; Zeek got diarrhea that lasted one week. Blisters is now free of his ball and chain! haha too funny!!! 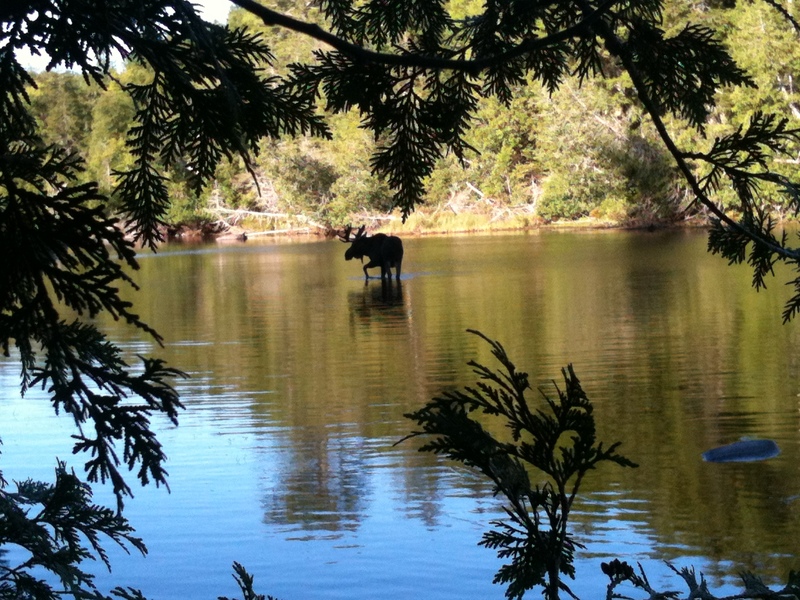 Some hikers are too unsecure about themselves and their surroundings. 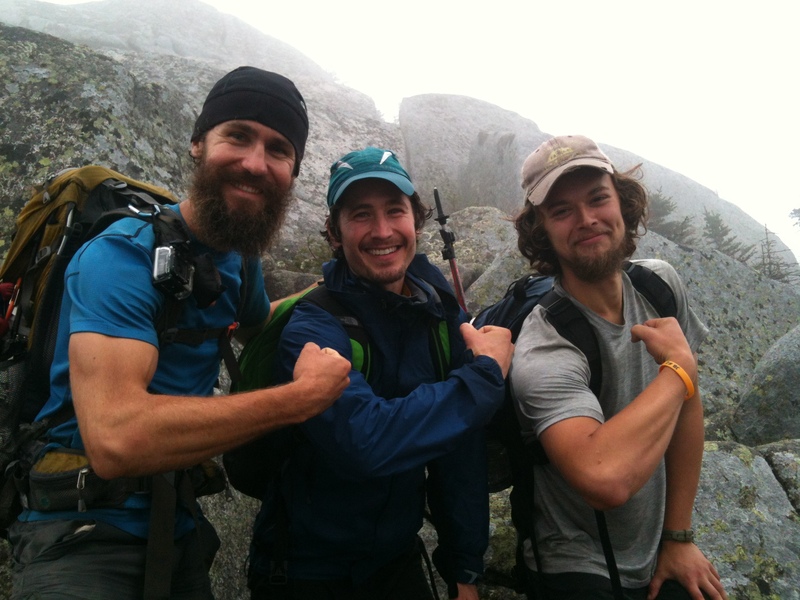 When they find a strong hiker who is confident, they tend to get attached for security. Vermont is a muddy mess but that is not too much of an issue. The temps are way cooler and I only got bit by 2 mosquitoes in 4 days. That’s unbelievable! 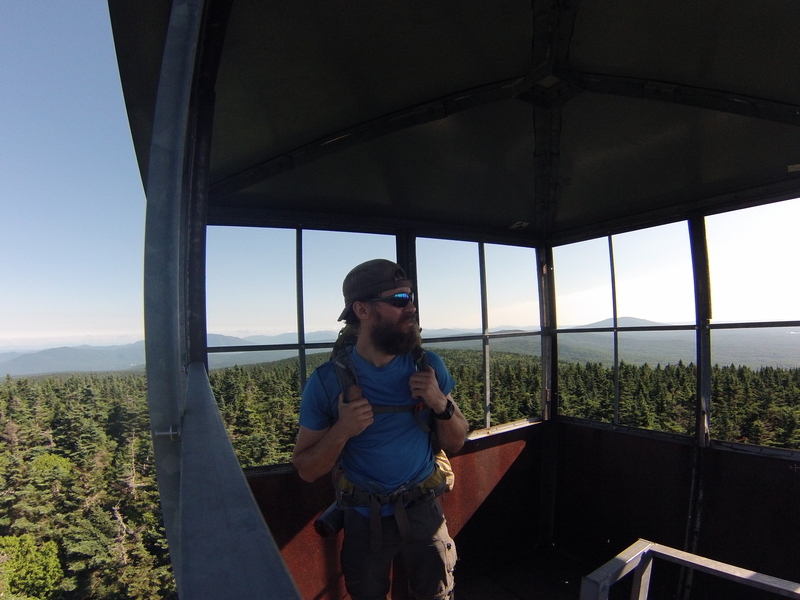 I’m really enjoying the hike and am super stoked about the White Mountains coming up. You guys will be the first to know if there are anymore weird stalkers on the trail. 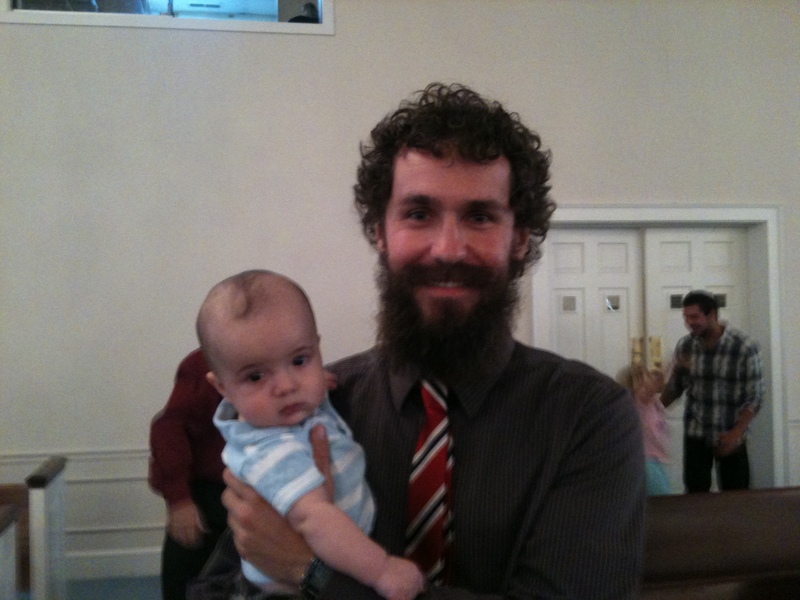 Have no fear, they don’t stalk me because the beard is too intimidating. True story. 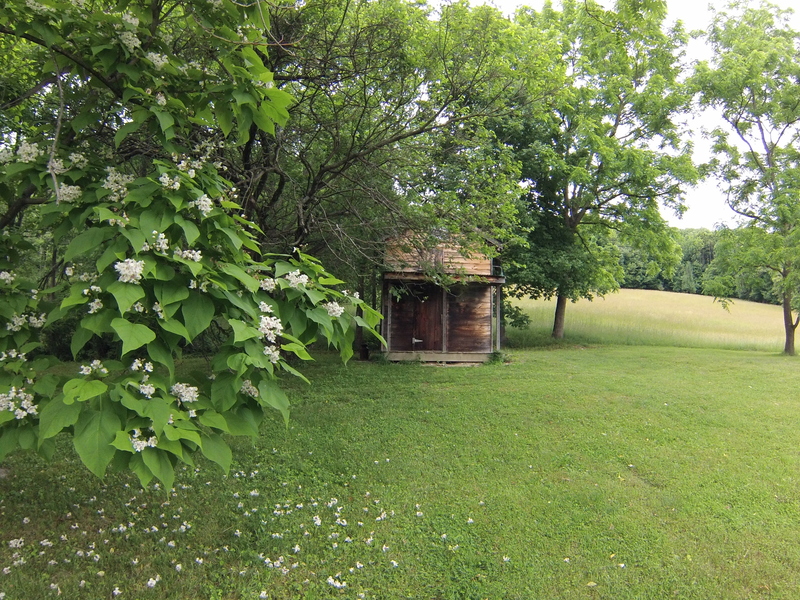 New Jersey is a breath of fresh air to put it simply. This is a land of rolling hills, smooth trails, birds chirping, sun is always shining, loads of deer and bears- simply paradise! 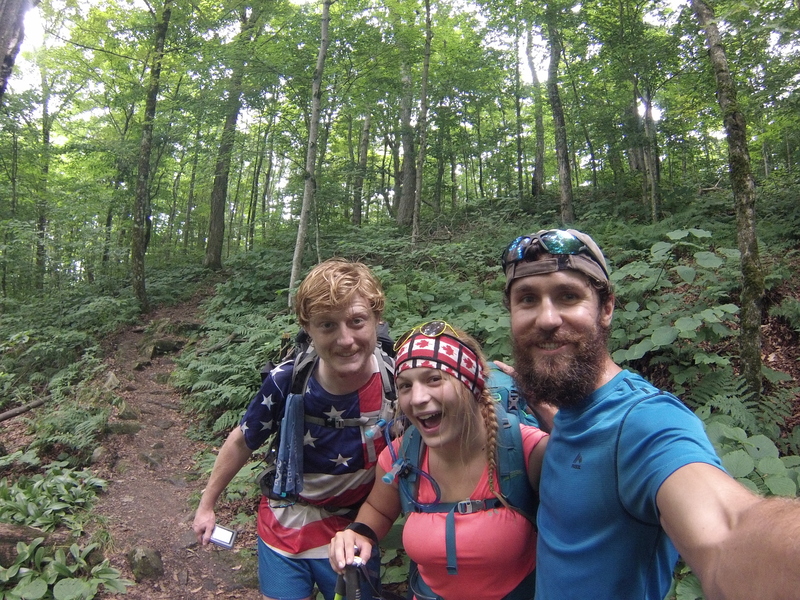 Every hiker that has made it through PA is so excited and pumped about the awesome terrain. However, PA did leave its marks on me before I was done. My feet became swollen because of the terrain. This has never happened before on the trail. Swollen feet forced me to take an unexpected zero. As if chubby feet were not enough, my heel cracked in several spots. 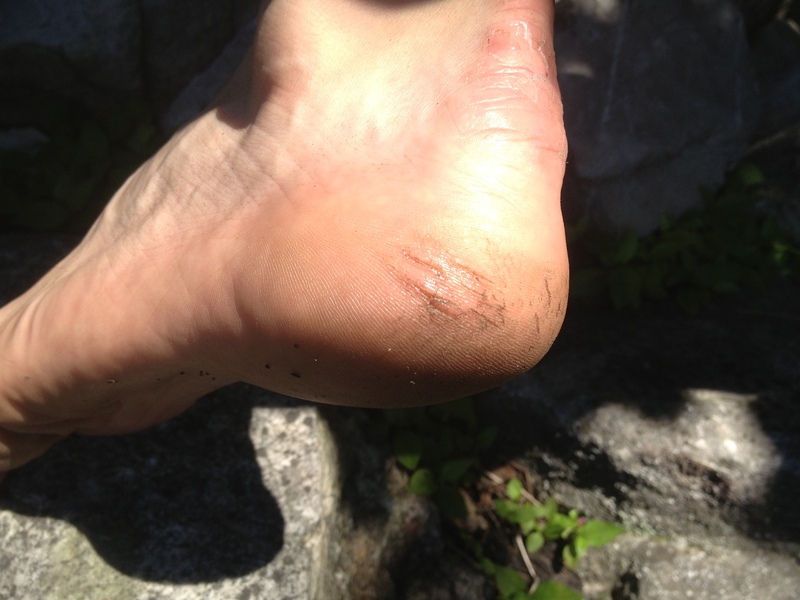 It was quite painful to walk on it but I super glued it together, took another zero and continued trekking. PA really put me behind schedule. But the worst thing that happened to me was “The Gatorade Incident”. Somehow my Gatorade bottle soaked my cell phone. Yep, the cell is now dead so I can’t return your calls and texts. However, Mike another hiker, had it worse. We had an unusually cold night no he boiled water and put it into his Gatorade bottle. This works great when you put it into your sleeping bag. Mike did just this and crawled into bed. Then he heard a “pop!”. The cap came off and hot water started pouring out. He grabbed the bottle and tried to throw it out the tent but he forgot the mesh door was closed! The bottle bounced back at him and soaked everything else! Hahaha! Gatorade bottles are the worst. I came across this lovely family the other day. They asked to be put on my blog so I of course I couldn’t refuse. Fun group of people. The Koreans were such a pleasant surprise when I came across them. Last time I saw them was in the Smokies on that 0* night with the T-Rex dream. 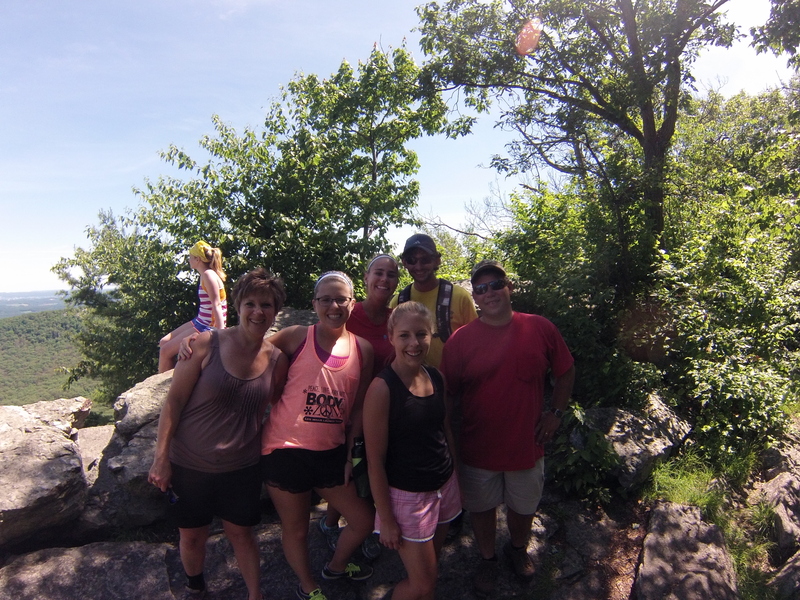 Seeing hikers from a long time ago is like seeing family for the first time in ages. 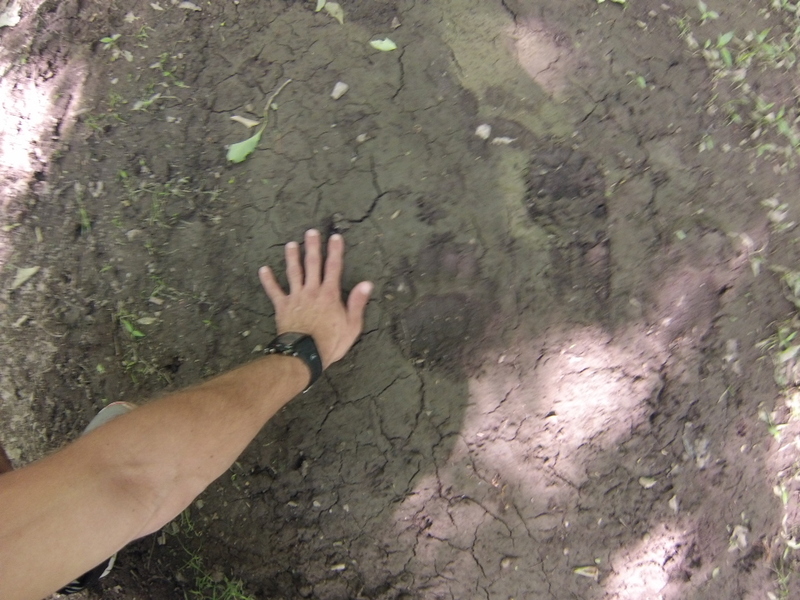 This pic is a little blurry but after studying the bear tracks carefully I have been able to determine the following facts: Its approximately 1 year and 3 months old male that is 268lbs. Looking at the tracks it is clear that he is a very happy bear but is slightly bloated from the last meal. I have a bear story that I simply must share with you guys! But, Mom if you are reading this, simply skip ahead to the next pic. (She is terrified of bears). 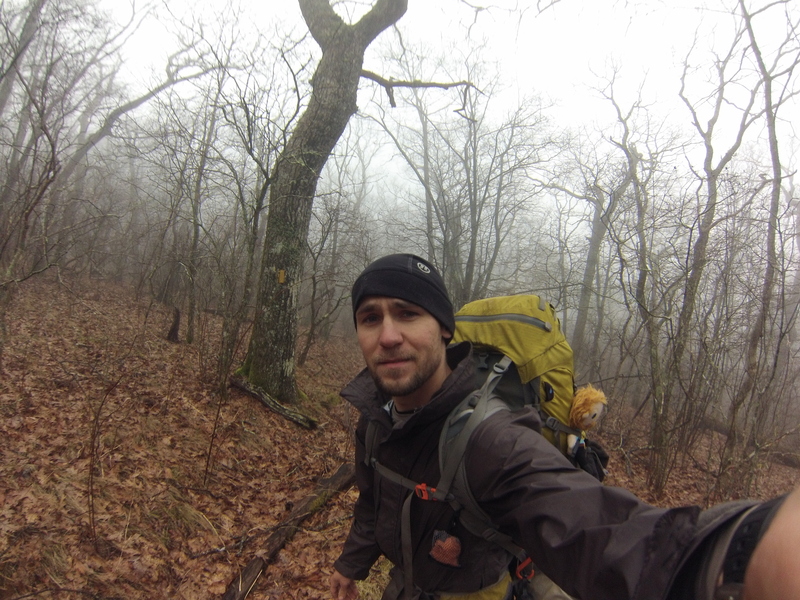 Martial Arts was hiking in the Shenandoah’s when he saw a large pile of bear poo on the trail. He was thinking to himself that there must be a large bear somewhere nearby. 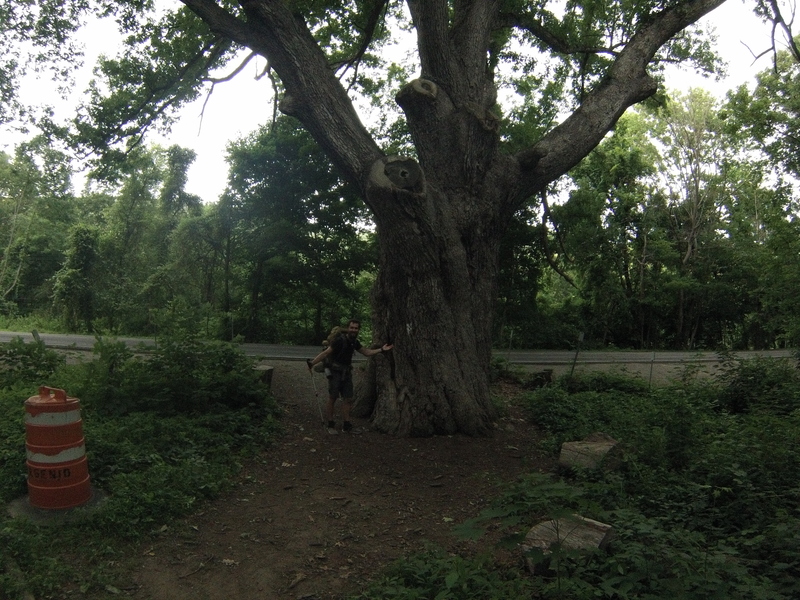 As soon as he walked past a large tree he stopped and glanced to his side. Sitting there within arms reach was a huge bear starring him into his eyes!!! Martial Arts simply froze with indecision. He didn’t know whether to move forwards or backwards. He stood there for a couple seconds and blinked. The bear blinked back. And then he had a moment of clarity and decided to continue forward. He was so scared walking away that he never even looked back to see what the bear was doing! haha! This is a rock garden. For some reason we have this weird obsession in building rock towers. Seriously, it’s awesome! 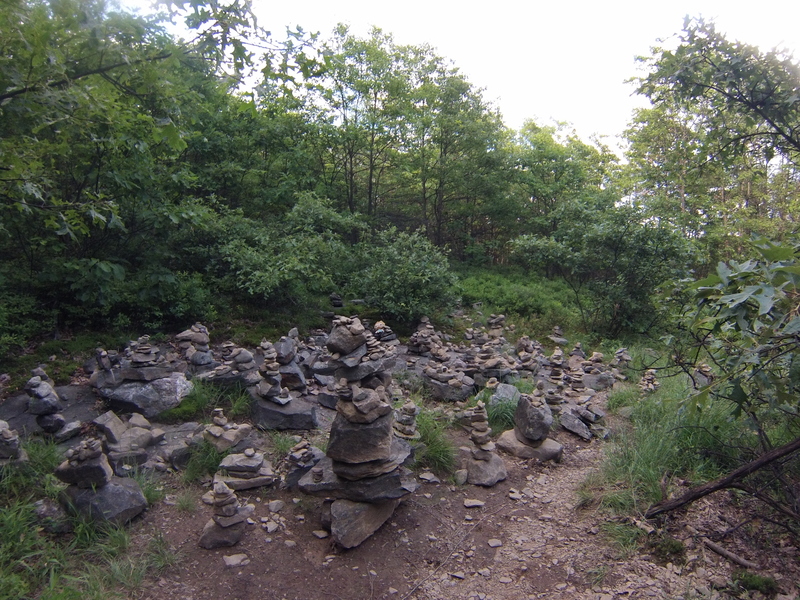 I’ve built and added onto many rock towers. I spotted this guy hiding in his shell so I put the GoPro in front of him and waited for him to come out. So I waited…and waited… and waited… he FINALLY came out and walked off 18 minutes later! 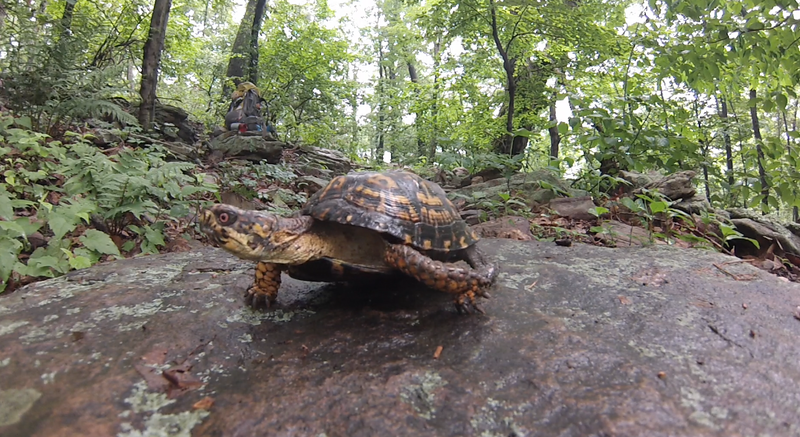 The lesson learned: Turtles are in no rush to go anywhere. Right now I am in Vernon, NJ. Awesome locals! I hitched a ride immediately into town with no problem. Then a lady, Andrea, gave me a ride to the hostel and even offered me her couch if the hostel was really bad. That was extremely thoughtful but the Church Hostel here is excellent so I declined her offer. This town has surprised me with their hospitality. I am looking forward to NY and what it has to offer. As of right now I am only 10 miles from the NJ/NY border. PA messed me up a little and really slowed me down but I’m hoping to make up those lost miles quickly. Take care everyone and God Bless.